Imagine it's a Saturday night. You're in Miami at the hottest dance club in town. Lights flash, the bass pounds, and you feel the atmosphere so much you don't want it to end. Facing the DJ on stage, a hush falls over the crowd. Excitement builds with anticipation and the crowd begins to cheer wildly as the drum beat kicks in. They are in--they are all in. 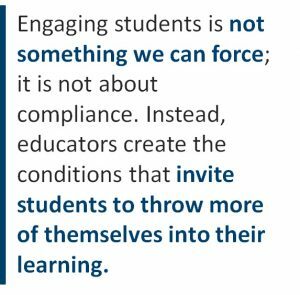 Are we looking in the ri ght places for insight into how we can engage students? Several years ago, I had a student named Stephen in my physics class. Stephen was a tall, reserved and joyful genius. Nothing could rattle this young man, including the laws of physics. Each day he would come into class with his large DJ headphones on, blasting techno music, and bobbing his head to the beat, all the way to his desk, totally absorbed in his music. The headphones didn't come off when he sat down, either. It was like he was in another world, and he clearly wanted to be there much more than he wanted to be in my classroom. Over time, I came to appreciate the ritual of asking Stephen to take his headphones off as a teachable moment -- this was my signal that it was time for me to look outside of my educational comfort zone to find keys to engaging the young people in my class. techno days in Detroit, Michigan, in the 1980s, EDM looks a lot like disco at its height--but with way more glow sticks. 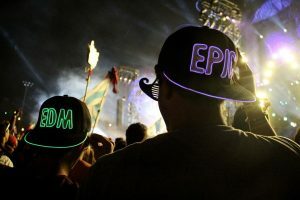 Its popularity has gone global, and its influence permeates pop culture so completely that we live in the 'EDM era,' where DJs have assumed the iconic status once reserved for rock stars. On Techno & Teaching. Turns out that in many ways the work of a teacher is remarkably similar to the work of a DJ. Both educators and DJs perform live in front of an audience. We make countless invisible, real-time decisions and engage in complex and creative work that demands technical skill. 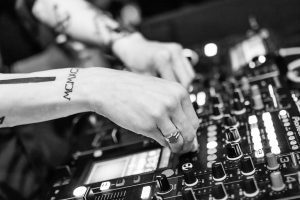 There are at least four strategies DJs use to engage an audience that teachers should consider incorporating into their classroom. These four approaches were previously noted by Leonard Sweet in his book, The Gospel According to Starbucks®. They are, in fact, EPIC: Experiential, Participatory, Image-rich and Connective. Gary G. Abud, Jr. is the 2014 Michigan Teacher of the Year and a member of the National Network of State Teachers of the Year (NNSTOY). He currently serves as principal of Mark Twain Elementary in the Fraser Public Schools. Previously, he taught high school science and technology. He lives near Detroit, MIchigan, with his wife, and fellow educator, Janice, and their preschool daughter Laina. 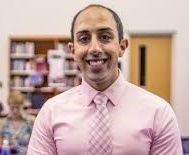 Connect with Abud on Twitter @mr_abud.